What is the importance of London Marathon ? The London Marathon is one of the biggest running events in the world, and one of the five top world marathons that make up the World Marathon Majors competition, which has a $1 million prize purse. It has been held each spring in London since 1981. The race is currently sponsored by Virgin Money, as the Virgin London Marathon. The 31st London Marathon took place on 17 April 2011, and the 32nd is planned for 22 April 2012. The race was founded by the former Olympic champion and journalist Chris Brasher and Welsh athlete John Disley. It is organised by former 10,000m world record holder David Bedford as Race Director and Nick Bitel as Chief Executive. Set over a largely flat course around the River Thames, the race begins at three separate points around Blackheath and finishes in The Mall alongside St. James's Park. Since the first marathon, the course has undergone very few route changes. In 1982, the finishing post was moved from Constitution Hill to Westminster Bridge due to construction works. It remained there for twelve years before moving to its present location at The Mall. In addition to being one of the top five international marathons run over the traditional distance of 42.195 km (26 miles and 385 yards), the London Marathon is also a large, celebratory sporting festival, second only to the Great North Run in Newcastle, in terms of the number of participants. 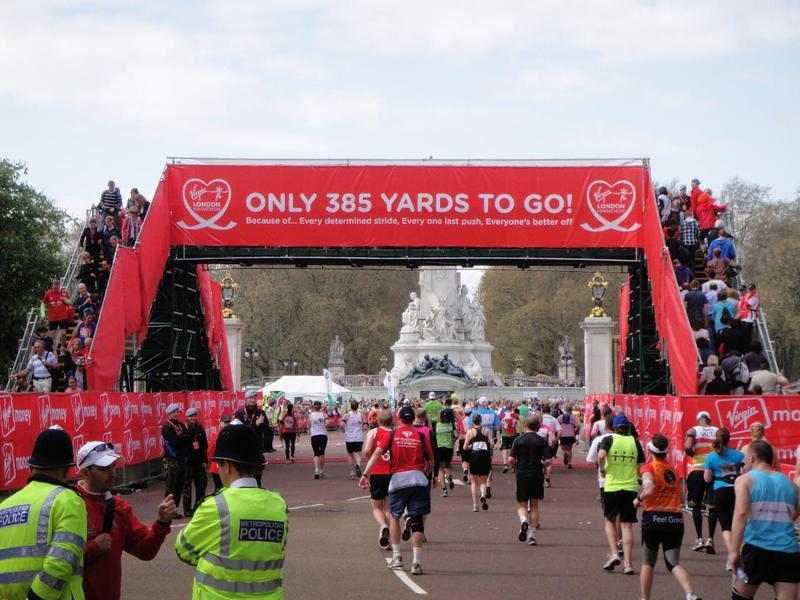 The event has raised over £450 million for charity since 1981, and holds the Guinness world record as the largest annual fund raising event in the world, with the 2009 participants raising over £47.2 million for charity. In 2007, 78% of all runners raised money. In 2011 the official charity of the London Marathon was Oxfam. When will London Marathon 2012 take place? What are the timings of London Marathon ? Where will it take place ? Previous winners of london Marathon ? What is the total distance ? How to enter the London Marathon ? Accomodation for London Marathon ? * On 19 April 2003, former boxer Michael Watson, who had been told he would never be able to walk again after a fight with Chris Eubank, made headlines by finishing the marathon in six days, becoming a national hero in England. * In 2006, Sir Steve Redgrave (winner of five consecutive Olympic gold medals) set a new Guinness World Record for money raised through a marathon by collecting £1.8 million in sponsorship. This broke the record set the previous year by the founder of the Oasis Trust, Steve Chalke MBE, who had collected over £1.25 million. Steve Chalke recovered the record in 2007, raising £1.86 million. In 2011 Chalke broke the record for a third time, raising a staggering £2.32 million. * A small number of runners, known as the "Ever Presents", have completed each of the London Marathons since 1981. By 2011 their number had shrunk to 18. As of 2012, the oldest runners amongst them are 78 year old Kenneth Jones and Jeffrey Gordon, whilst the youngest runner is 53-year-old ultra-runner and father of 3 Chris Finill. They are all male.